I’ve mentioned here before that my wife and I have a large student loan debt that we are currently paying off. My wife incurred it after receiving a Masters of Social Work degree. While it is / was a noble career pursuit, it is not very high paying. And with my wife only working part-time due to some health issues – the repayment is taking a little bit of a backseat in our personal finances. We are blessed that our only debt remains this student loan (besides our home – which has equity). Unfortunately, we aren’t the only ones out there with large student loan debt. At the end of 2015, student loan debt remains the largest single non-mortgage debt carried by folks in the U.S. with $1.23 trillion outstanding. Another disturbing trend is the delinquency rate among student loans (late 90-days or more) is almost 12% and likely higher because half these loans are currently in deferment, in grace periods or in forbearance. To make matters worse, the government and lenders are profiting immensely from these loans (which means they have no real interest in helping the borrower). 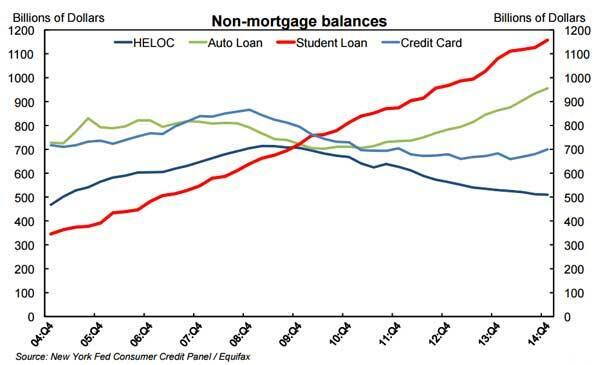 Needless to say, there is a looming crisis regarding our student loan burden. Andy Josuweit graduated with $74,000 in student loan debt. After 3 years of dealing with unhelpful loan servicers, debt collectors, and banks (while watching his student loan debt balloon to $107,000! ), Josuweit decided to create an online solution to help others manage, organize and repay their student loans. He called it Student Loan Hero. Student Loan Hero is an unbiased service that tailors a solution to help individual students understand their loans and repayment options. Started in 2012, the site is helping over 80,000 people pay off more than $1 billion in loans. 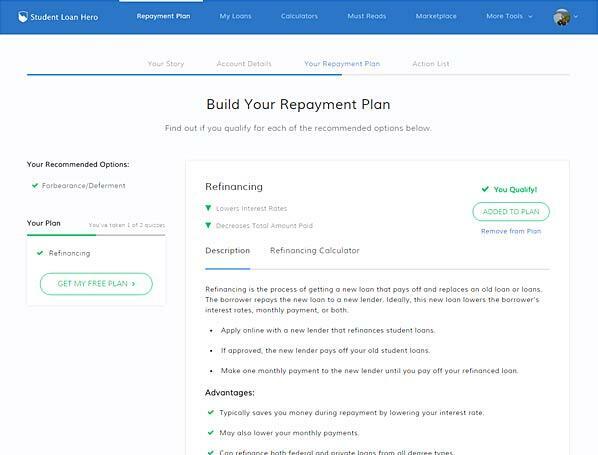 Since we are in the midst of our “student loan crisis” and having corresponded with Josuweit previously, we have decided to give Student Loan Hero a test run. We’d like to see if we could be in a better situation by refinancing our current loans OR if the site could offer us some other information about our loans. Andy recently did a Reddit AMA which was very helpful to folks with student loan debt. A lot of questions where answered there. Check it out! 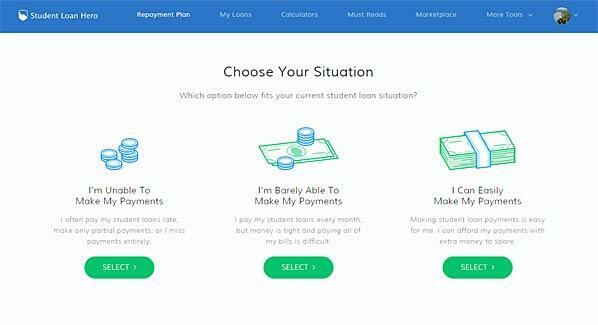 Student Loan Hero is a very friendly and easy-to-use website with Josuweit’s mug sprinkled throughout providing a “I’ve-been-where-you-are” message. To get started, you’ll visit their sign-up page which can be accessed via any of their “get started” buttons on the home page or by clicking “sign-up” in the top nav. Once there you will login using your Google or Facebook account OR just enter your name and email. One of the neat benefits of the site is that it explains much of what is presented. They offer the pros and cons to refinancing – which is really transparent and helpful. 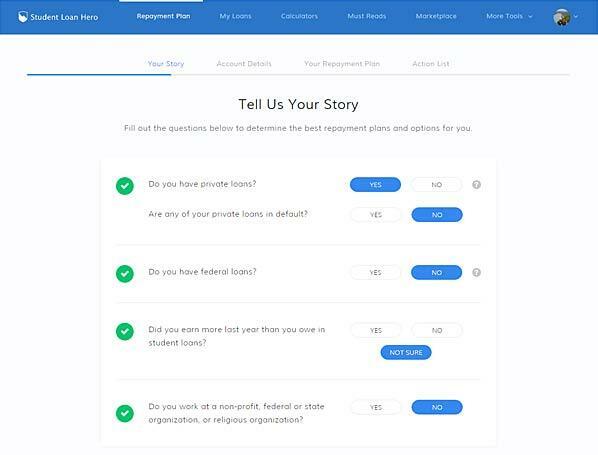 Student Loan Hero provides a list of banks they have relationships with and a look at the rates they may be able to offer. This is by no means a guarantee you will qualify for any of the loans. The site allows you to sync your current loans too, from federal to private loans (ACS, Earnest, FedLoan, Navient, Great Lakes, Nelnet) AND allows you to add them manually. It was neat to see ours in the dashboard, as it showed us how long it would take to repay it based on the current interest rate/payment as well as play with different payment options to lower our interest paid over time. Needless to say, it was enlightening for me to see how much money we could be saving on a refinance and by paying a little more each month (something most lenders don’t provide customers). 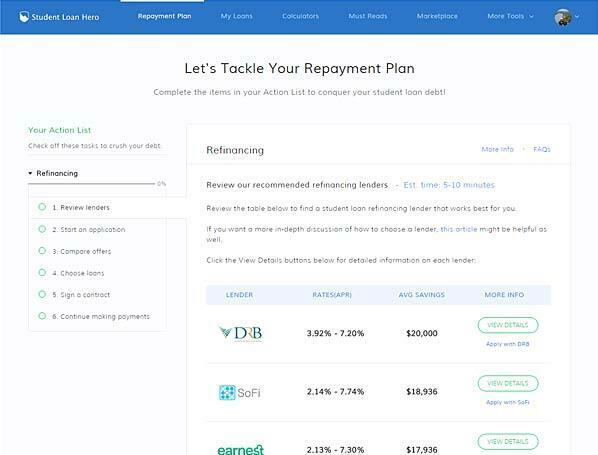 I should note that Student Loan Hero makes their money similar to the way our friends at Credit Karma does, by making a commission on partnering with the lenders they recommend you to. 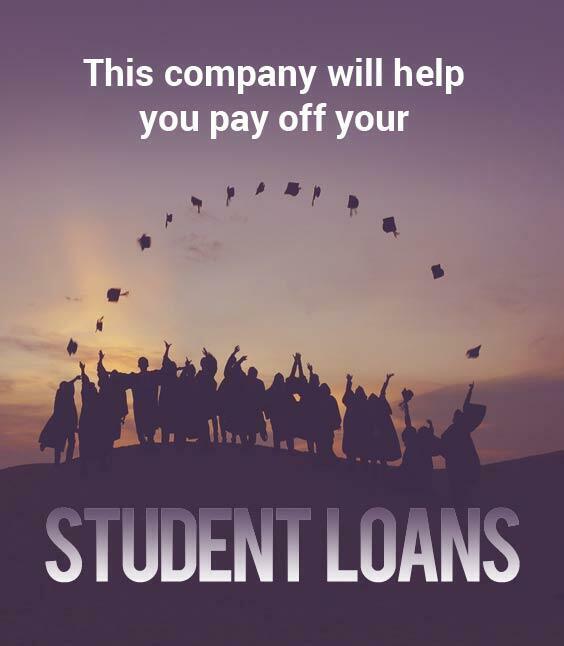 If you have a student loan(s) yourself, Student Loan Hero may be a great option for you to organize your loans in one place, get more information about them and to see available options for consolidating OR refinancing to a better rate. The following was brought to you by our friends at Student Loan Hero. All thoughts and opinions are our own. I wouldn’t recommend this to anyone with a huge loan but in my case the loan is about $12,000, so it will work for me and maybe for others in a similar situation. I am borrowing money against a house in which I have 100% equity. I am going to use that money to pay off the doggoned loan. The interest rate on the equity loan is several percentage points lower than the student loan rate. And if I had dire circumstances arise, I could do bankruptcy on this loan. Now, that is an interesting idea!